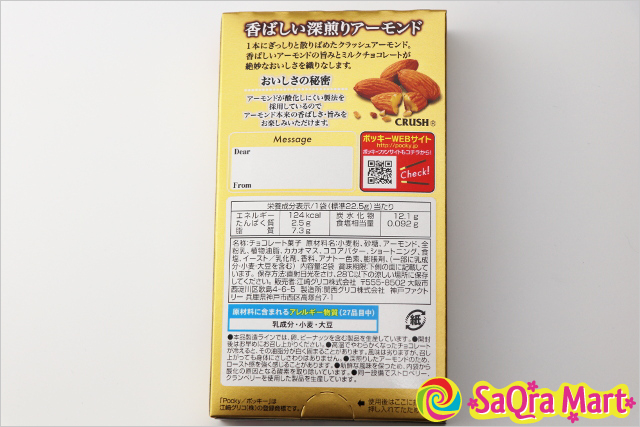 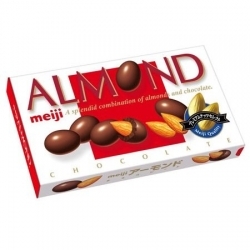 Fragrant, deeply roasted almonds. 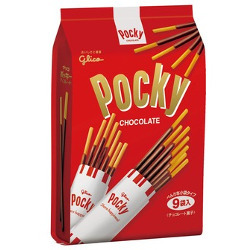 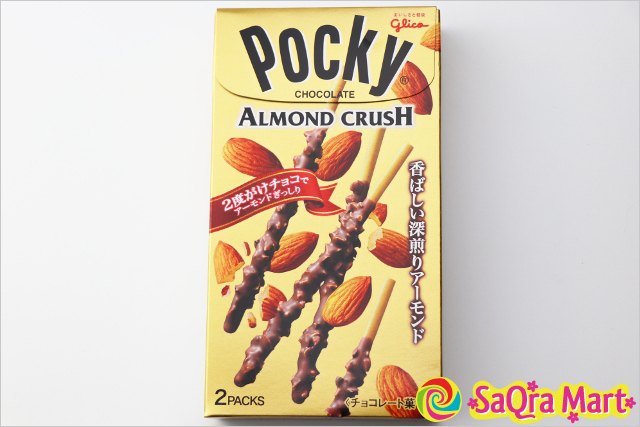 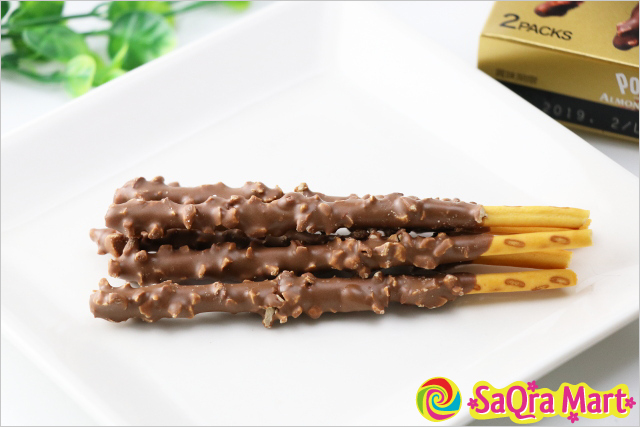 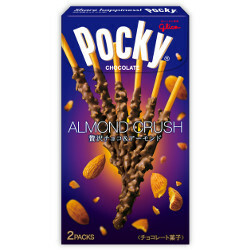 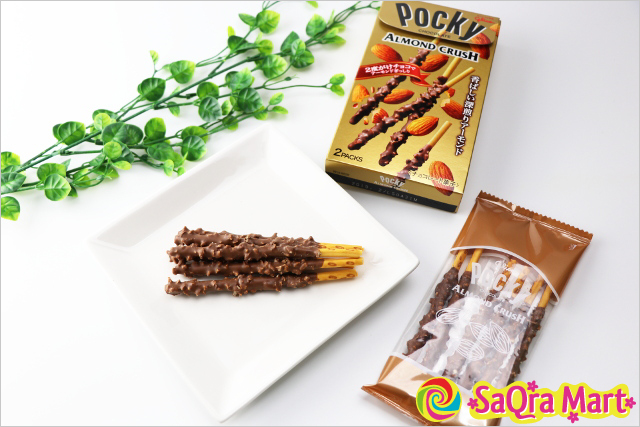 Each Pocky is liberally coated in crushed almonds. 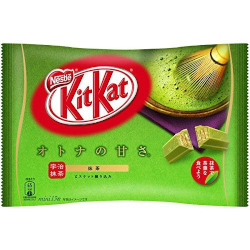 The rich taste of the almonds and the sweetness of the milk chocolate make for a beautiful symphony of flavors in your mouth with each bite.